The bulkiness of common transmission spectroscopy probes prevents applicability at remote locations such as within the body. 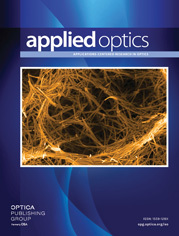 We present the fabrication and characterization of lensed fibers for transmission spectroscopy in the near-infrared. Eigenmode simulations and measurements of the coupling efficiency are presented and applied to design the setup corresponding to the sample absorption. Sensing capabilities are demonstrated on aqueous glucose samples ranged 80 to 500 mM, obtaining a mean absolute percentage error of calibration of 4.3%. With increased flexibility, transmission spectroscopic sensors at remote locations may be achievable, for example, applied to in vivo continuous glucose monitoring. a For comparison with the eigenmode simulations, see Table 1.